These 2 1/2 by 3 1/2 inch cedar soap decks work great with our all-natural soaps because they absorb excess water so that your bar of soap won't get all mushy. They're perfect for the soap you keep by your bathroom sink. 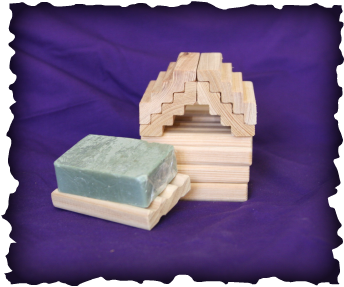 Each cedar soap deck is only $2.00 plus shipping and any applicable tax.